One can confidently think of settling in Switzerland as several overseas jobs are available which are very lucrative and will enhance your standard of living. At Opulentus the Switzerland Job Assistance will be explained to you well so that you could settle down with a job that suits your professional experience and qualification. 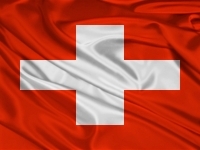 One has to get hold of the Switzerland Work Visa to be able to take up a lucrative job, whether skilled or unskilled. To settle one has to get hold of Switzerland Residence Visa, which can be had by approaching Opulentus.